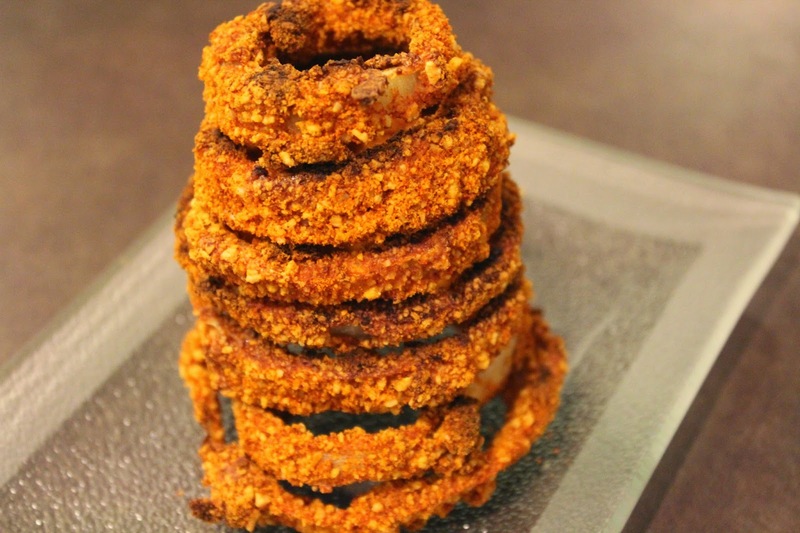 This dairy free, flour free, onion ring has a lot more nutritional value and makes for a fun side at your next meal OR you can add them as a topping on your next burger. Our kids ate them up and ask for more, which is always a bonus at meal time in our house. While oven is preheating, slice the onion. In 1 bowl mix the eggs and in another bowl combine all spices and almond flour. Take each onion slice(individually) soak in eggs, and then coat in spice mixture. Place on parchment lined baking sheet and bake for 20 minutes flipping once at the 10 minute mark. Hey Jen Ira’s wife here. Ira asked me to share this recipe with you all. This recipe tends to be a repeat around our home! Its a go to when we are coaching our groups through the 30 day flip program. My kids LOVE this, and it keeps us fueled through the morning up until lunch! 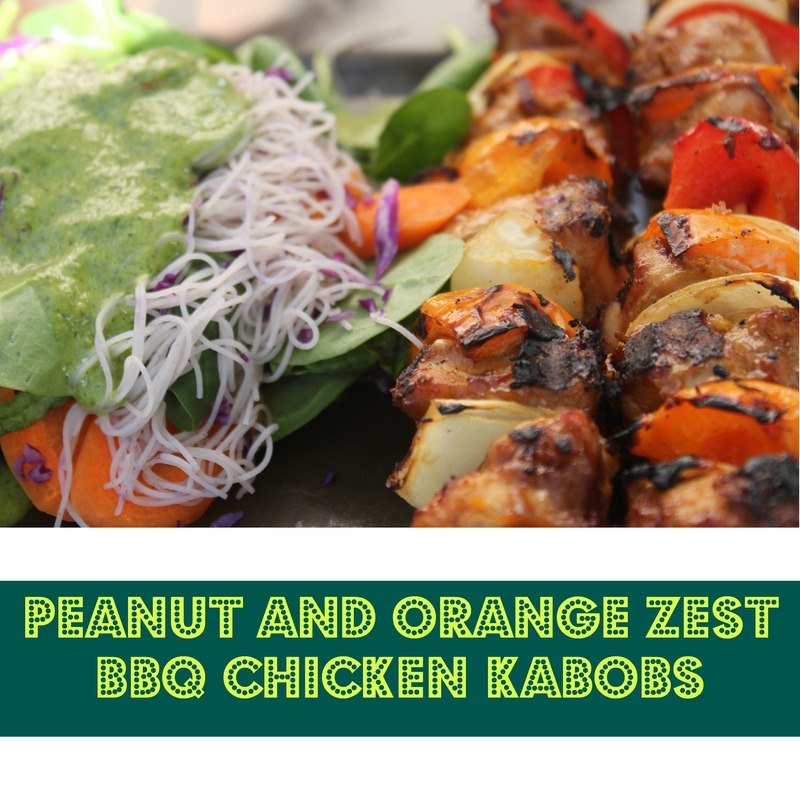 This is a recipe that I HIGHLY recommend that you prepare the night before, store it in a container in your fridge and make sure to double up on this recipe to enjoy it even for the next day or so. Peel sweet potatoes, cut into thin 1 inch slices. If you have a food processor add the sweet potato so its thinly chopped. If you do NOT have a food processor, finish cutting the sweet potato into 1 inch thick slices. Stack a few of the slices together and using a knife, cut into very thin slices, almost like miniature fries. Heat your oil on LOW in a medium sized frying pan, add the hash and spices. Mix to coat in oil. Cover and cook on LOW for about 15-20 minutes. Occasionally stirring. Top the hash off with 2-3 eggs (however you like to cook them) and for garnish(and extra healthy fats) add some avocado!! They are soooo good and perfect for this hot weather. Place cashews in a bowl and cover with 1-inch of water. Let soak for about 8 hours until soft and plump. Grab an 8-inch square cake pan and line it with 2 pieces of parchment paper, one piece going each way so it’s easy to lift out. For the crust: In a large bowl, add the rice crisp cereal and cocoa powder. Stir to combine. In a small pot, melt the coconut oil over low heat. Pour the oil and syrup onto the rice crisp and stir very well until combined. 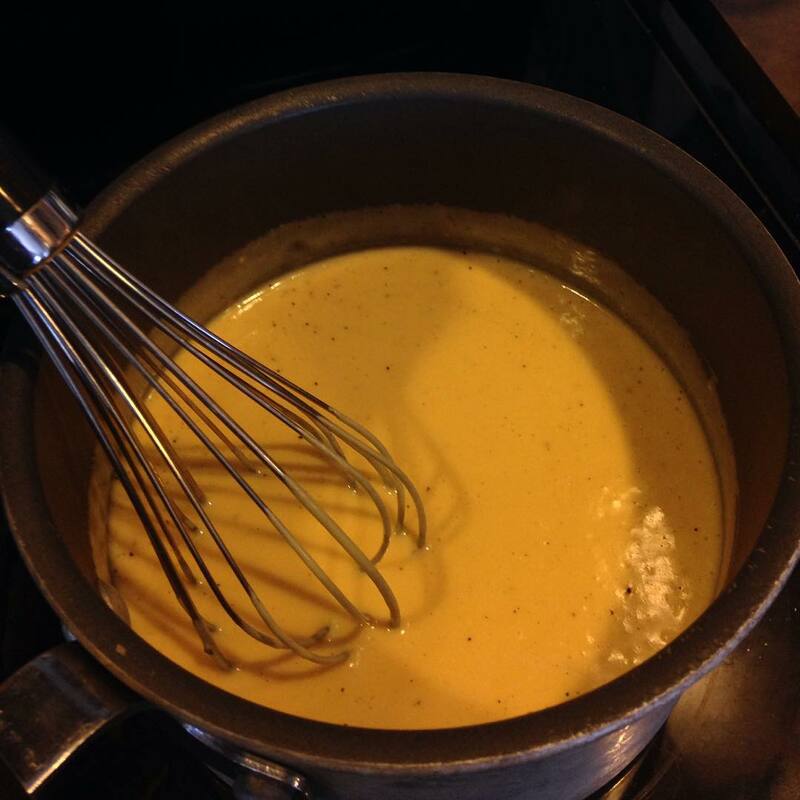 If the mixture seems a bit dry you can add another 1/2 tablespoon of syrup and stir again. Spoon the crust mixture into the prepared pan and smooth out. Grab a small piece of parchment paper and use it to press down the crust until packed and even. Place the pan in the freezer so the crust can set while you prepare the filling. For the filling: Drain and rinse the soaked cashews. In a small pot, melt the coconut oil over low heat. Pour into a high-speed blender. Now add in the maple syrup and vanilla, followed by the cocoa powder, melted chocolate, fine grain sea salt, and drained cashews. Starting on low, blend the mixture until it comes together and then gradually increase the speed until the mixture is super smooth. If using a Vitamix use the tamper stick to get it going. Remove crust from freezer and pour on all of the filling. Smooth it out with a spatula and then place the pan back in the freezer (uncovered is fine) for about 3 hours (or longer if desired) until the filling is firm to the touch. Slice and serve chilled straight from the freezer with a dollop of coconut whipped cream and chopped hazelnuts. 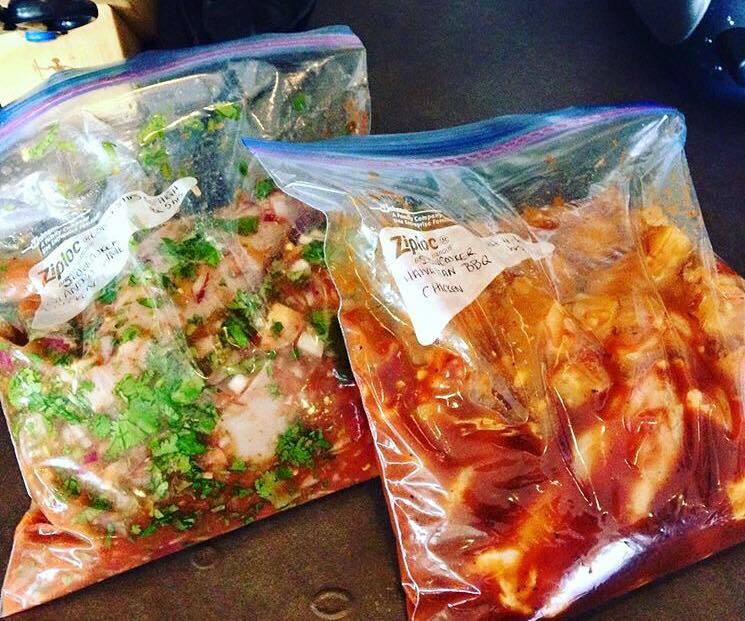 Store leftovers in an air-tight container in the freezer for up to 3 weeks. I like to freeze the slices, then wrap them in tin foil, and place in a sealed glass container for maximum freshness. Tips: If your blender is having a hard time blending the filling mixture you can try adding a bit more liquid sweetener or melted coconut oil to help things along. Adding a bit of almond milk might be an option too, but I wouldn’t add more than 1/4 cup at most. 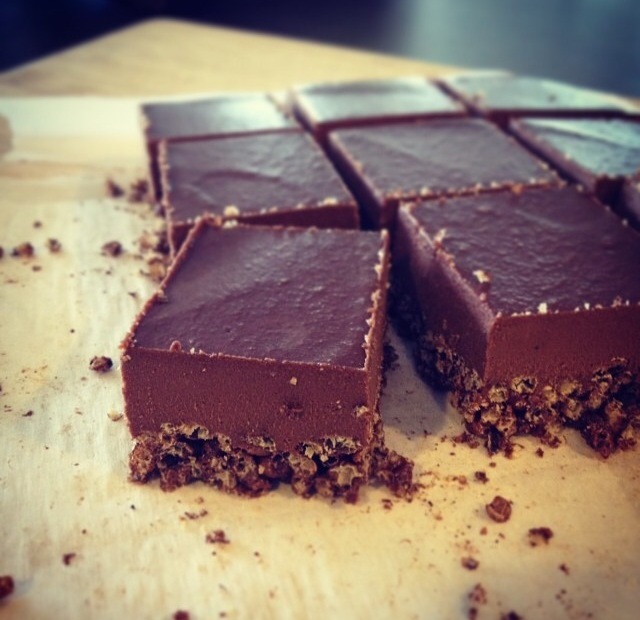 To make this recipe soy-free, use a soy-free chocolate such as Enjoy Life brand. Looking for a nut-free option for the filling? I haven’t tested one for this particular recipe, but you might want to try out this filling recipe using an avocado-based filling (simply swap the almond milk for a nut-free milk and the peanut butter for sunflower seed butter). I copied and pasted this recipe from an amazing blog that we use frequently for meals in our home. You can find more amazing recipes like this at Oh She Glows. One of my avid STEP extraordinaire’s has been known to bring me an awesome healthy treat from time to time. I asked if I could share the recipe for this chili bar and OH MAN, you are in luck because she said YES. 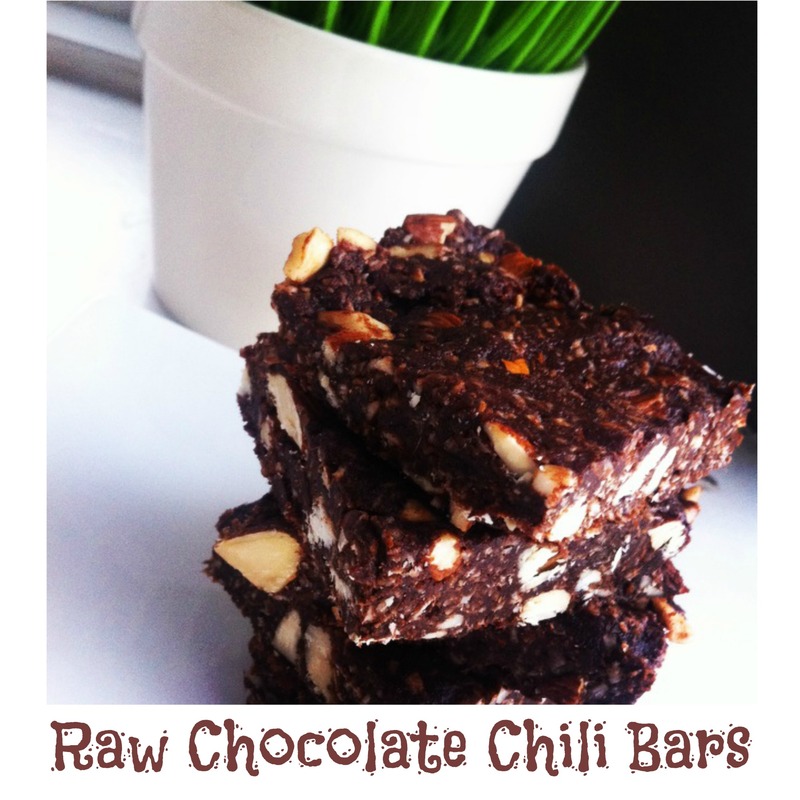 The combination of chili peppers + cinnamon + chocolate = AMAZING! I shared some of this treat with other people at the gym that day and they have been peddling me ever since to get the recipe. I made them last night and it took me less then 15 minutes and Noah (my 5 year old) help me dump and stir all the dry ingredients. 1. Pulse almonds in food processor until just roughly chopped. Place in a large bowl. 2. Add coconut, cocoa or carob powder, coconut sugar, cinnamon, salt, and chili flakes to your almonds and combine. 3. Add your vanilla and coconut butter to your dry ingredients and mix with your hands until evenly distributed. 4. Pit your dates, and process in the food processor until you get a paste. It does not have to be totally smooth, just broken down. You may add the juice of an orange if your dates are dry. 5. Mix your dates into the dry mixture until fully combined. You can add more liquid if the mixture does not come together easily (I had to add a tablespoon of water). 6. Line a baking tray with parchment paper. Press your bar mixture into the tray in an even layer. Score your bars. I stuck them in the freezer for 15 minutes and then transferred them using the parchment paper to a cutting board which made them very easy to cut and portion out. We are also storing them in the fridge cause the portion is enough that it will take us a couple days to eat them. Added health bonus: Chili and Cinnamon are known to stoke your metabolism. Cocoa has antioxidant power. Almonds are packed with protein and healthy fat that slow the absorption of sugars into your system. Dates are full of fiber and energy. YEAH for REAL and GOOD food!